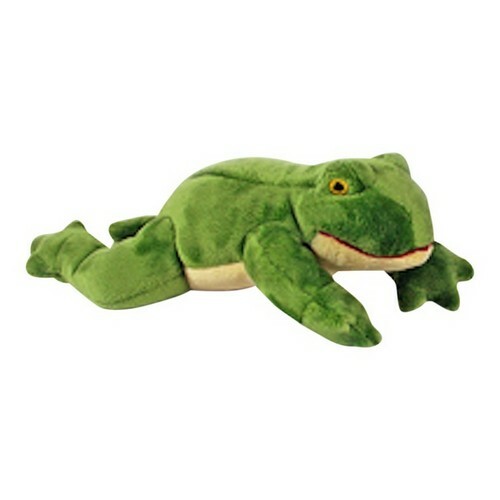 Fluff & Tuff Olive Frog is a small, but perfectly formed amphibian, which is just as well, she's most likely going to spend much of her time in your dogs' mouth being slobbered! If your dog enjoys carrying a soft toy, getting the most out of the squeaker, flinging a small toy around or simply snuggling up, Olive is your gal! The Fluff & Tuff Olive Frog has double-stitched reinforced seams, sewn eyes, durable mesh inner lining for the under amour and a non-toxic fibre stuffing for your dog's enjoyment.